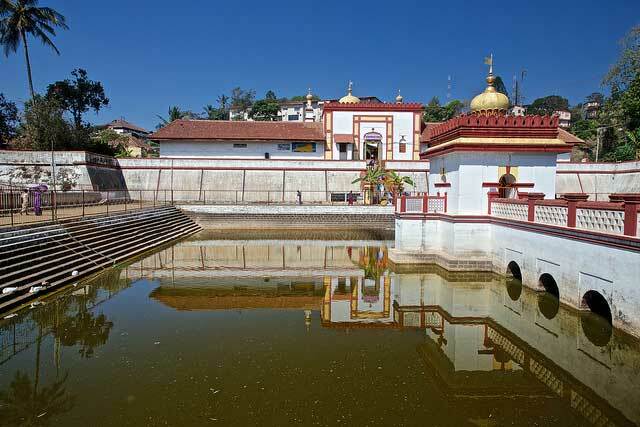 Dedicated to Lord Shiva, the temple lies in the heart of Madikeri in the Coorg (Kodagu district of Karnataka). Omkareshwara temple was built in 1820 by Lingarajendra II; the architecture is a mix of the Islamic styles and gothic styles thus giving it a one of a kind structure among the various temples found in the south of India. There is a pool in front of the temple with tons of fresh water fishes in it. The temple has four minarets around it and a dome in the centre. According to legend, King Lingarajendra killed a sincere and religious Brahmin to fulfil his political goals. After death, the Brahmin turned into a “Brahmarakshasa” and started disturbing the king. The king got rid of the Brahmarakshasa only when he brought a Shivalinga from Kashi and installed it after constructing a temple. The Shivalinga was named as “Omkareshwara” and rituals were performed regularly.